Madras University has cancelled the examinations scheduled to be held tomorrow, i.e. on November 22, 2018 due to heavy rains predicted in Chennai and its surrounding areas. The University has also said the new dates for the rescheduled exams will be announced soon. Earlier, Chennai collector A Shanmugasundaram announced holiday for the educational institutions in Chennai district tomorrow after the India Meteorological Department predicted today that the sky would be generally cloudy over next 24 hours. “Due to heavy rains in Chennai and its surrounding Madras University cancels exams scheduled on 22nd November. 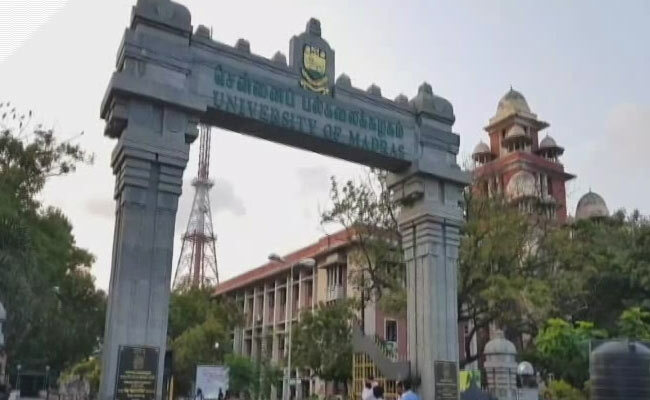 Rescheduled date for this exam will be announced soon,” said a statement from Madras University. “Exams conducted by the University Departments on 22nd November 2018 are also cancelled,” the Chennai-based University added. “Chennai collector has declared a holiday for all schools and colleges in the district tomorrow in view of incessant rain & rainfall warning for tomorrow,” reported ANI.